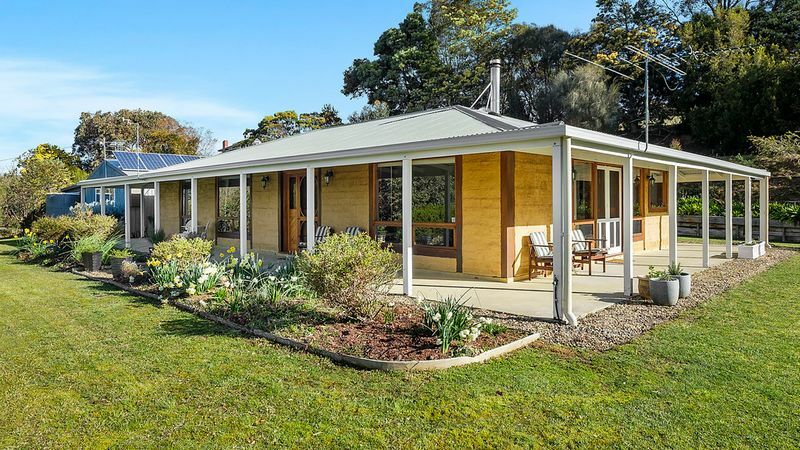 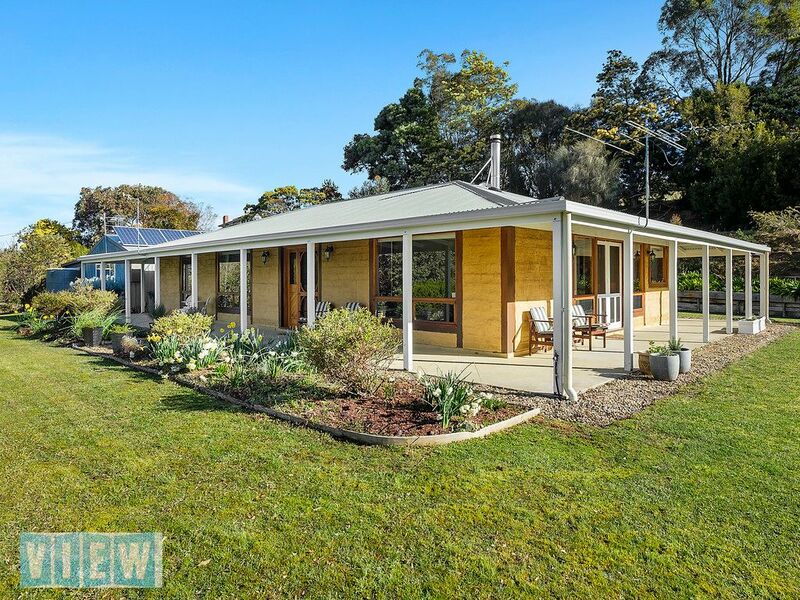 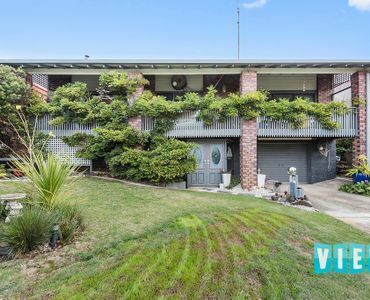 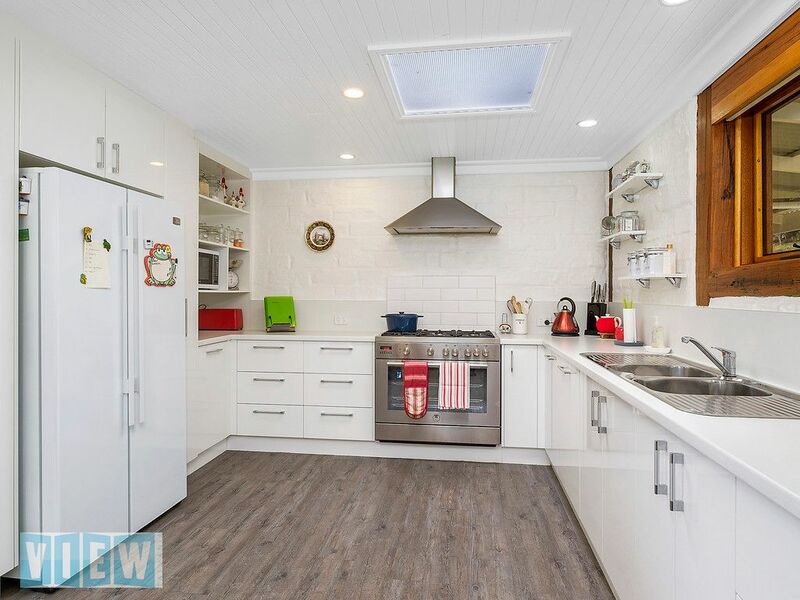 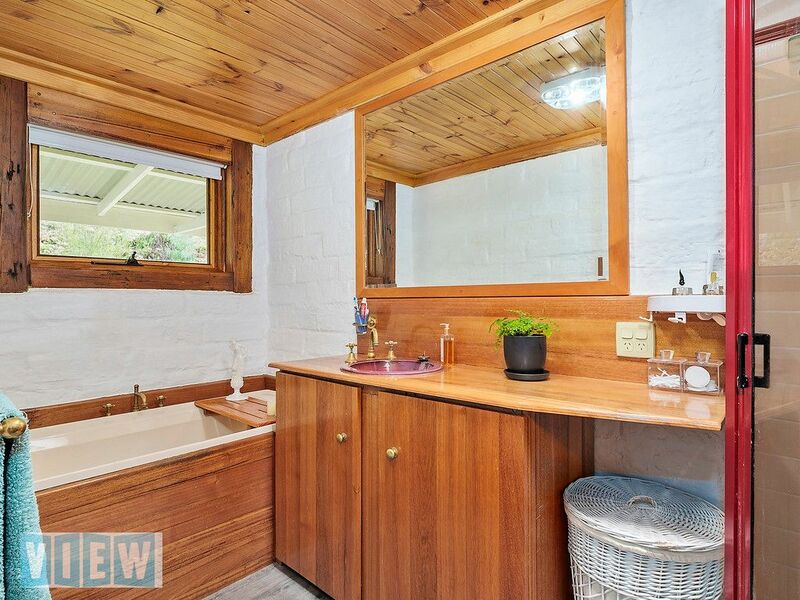 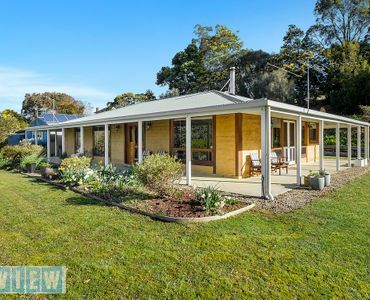 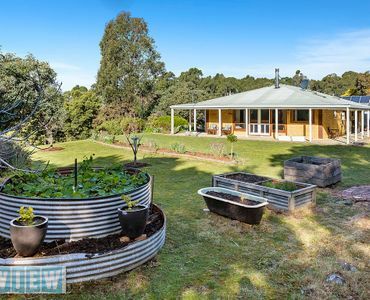 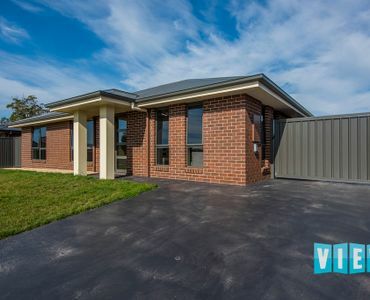 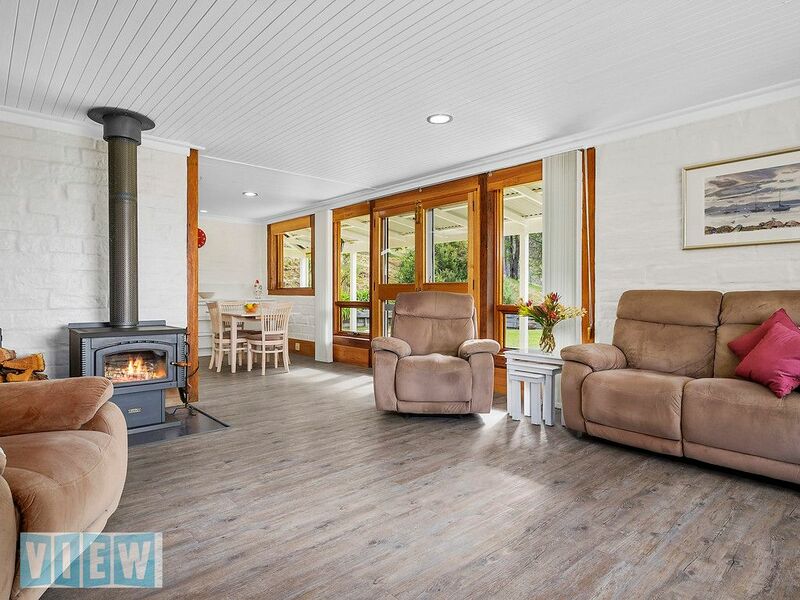 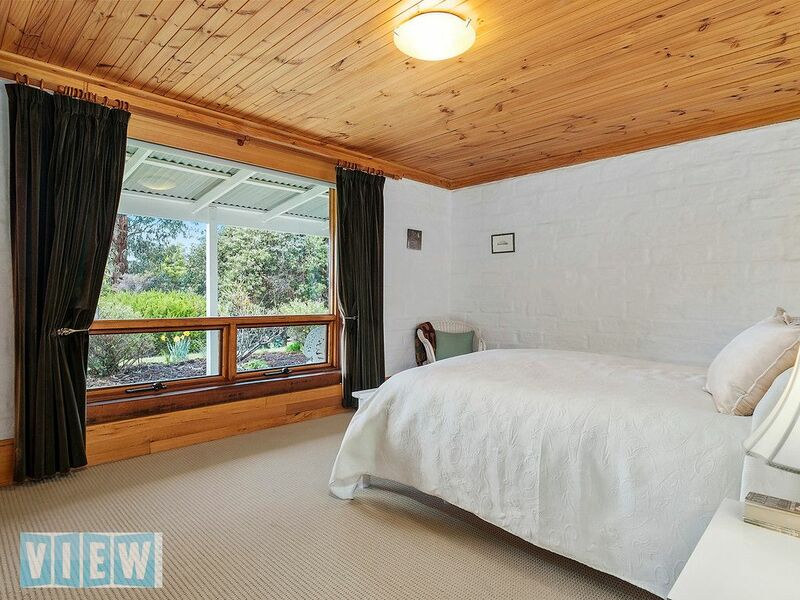 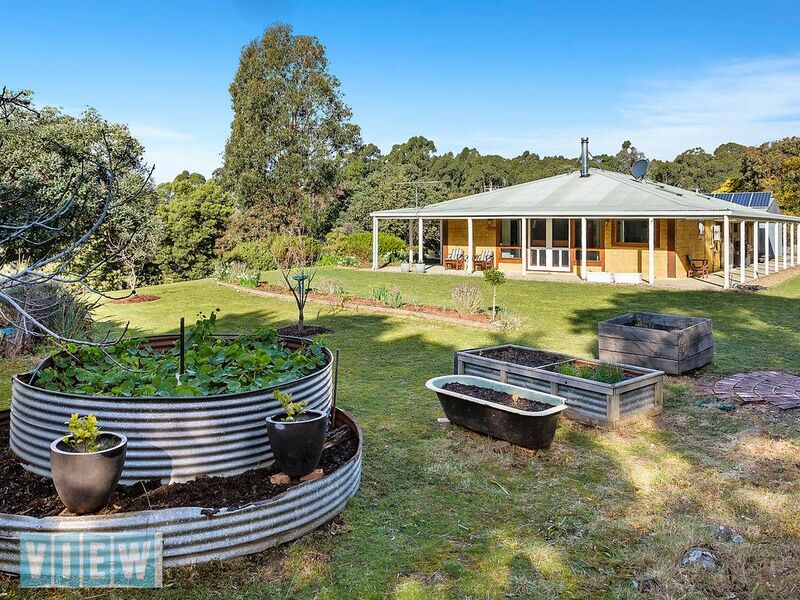 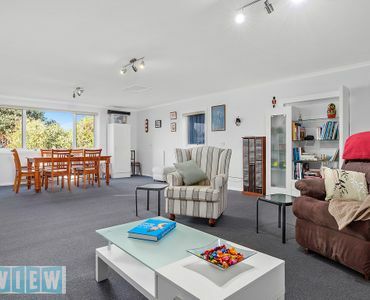 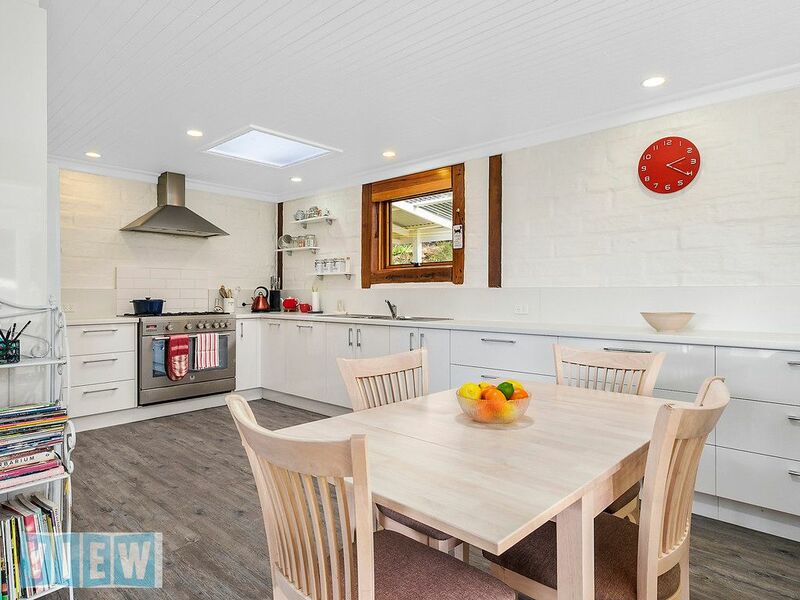 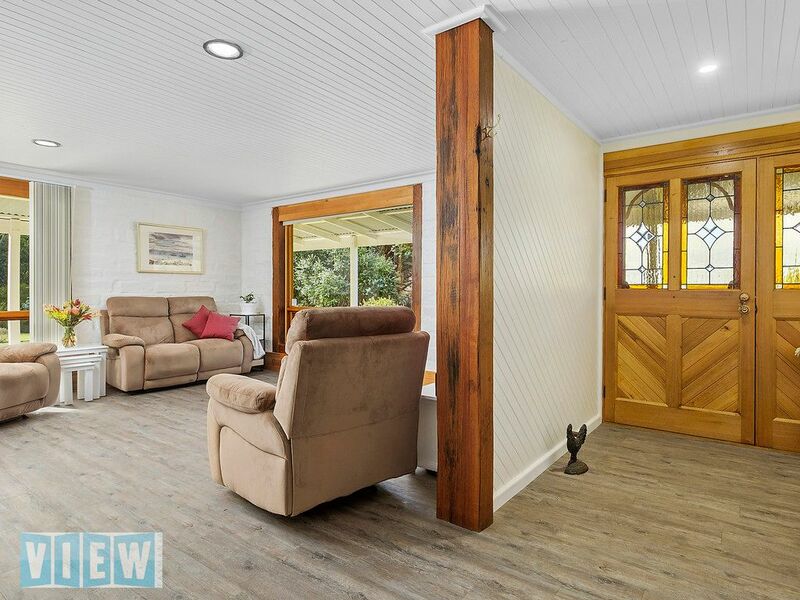 View Australia – Lifestyle home on 2 acres. 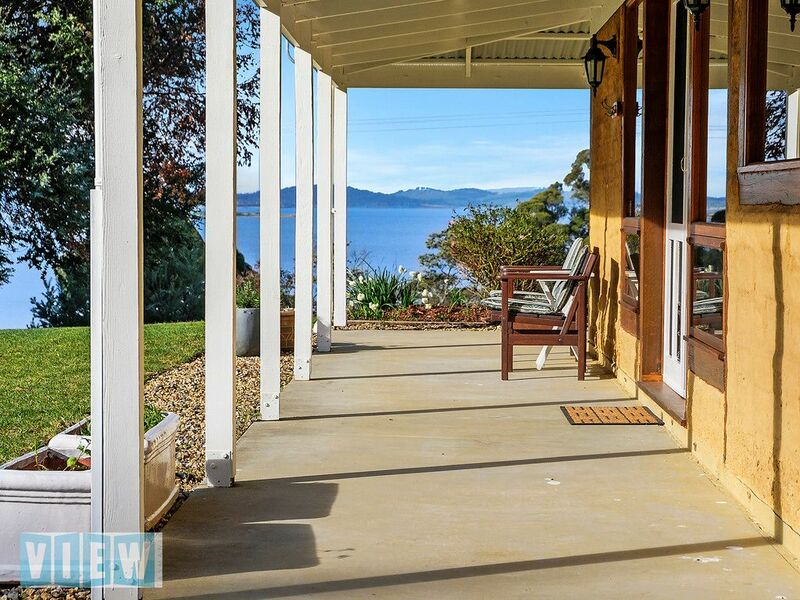 This is a “one of a kind” property for those seeking privacy, views and a true lifestyle change. 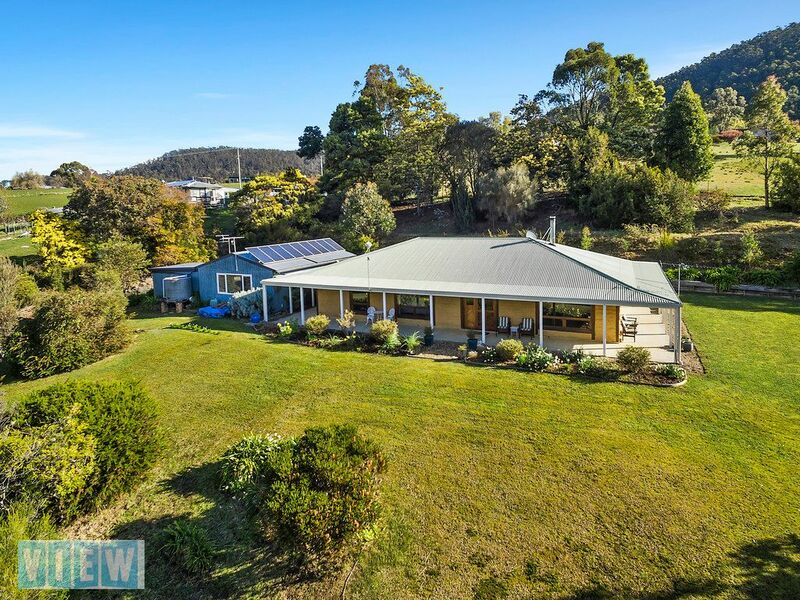 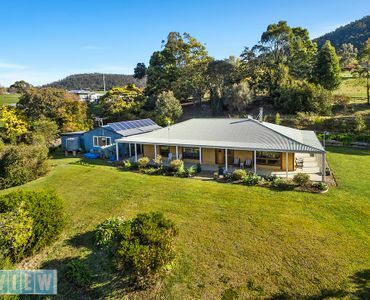 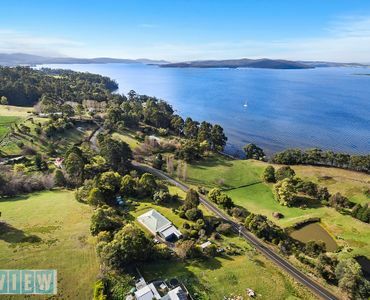 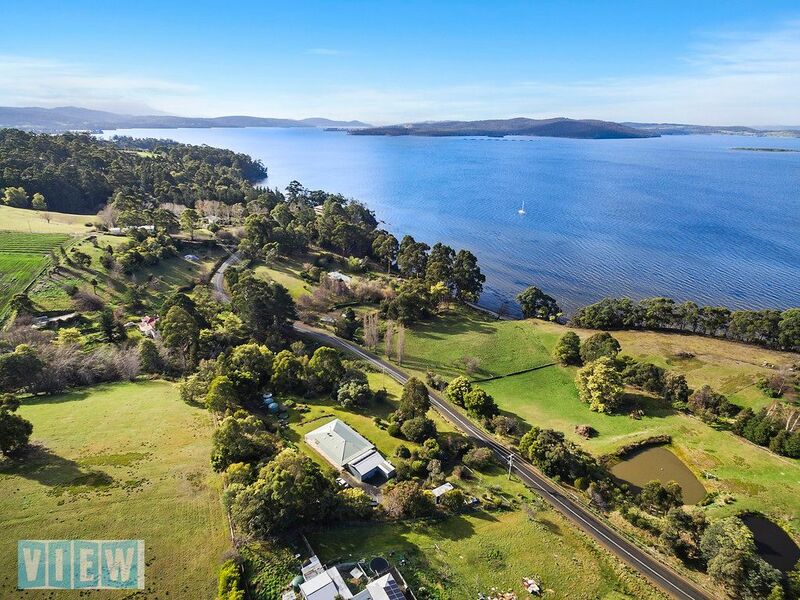 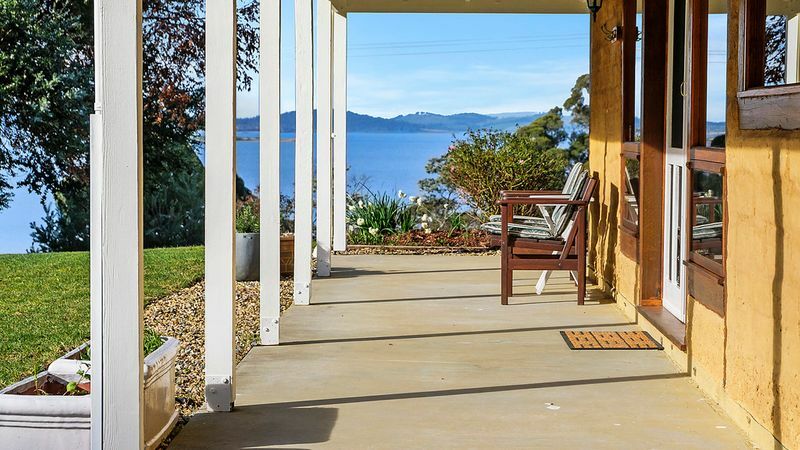 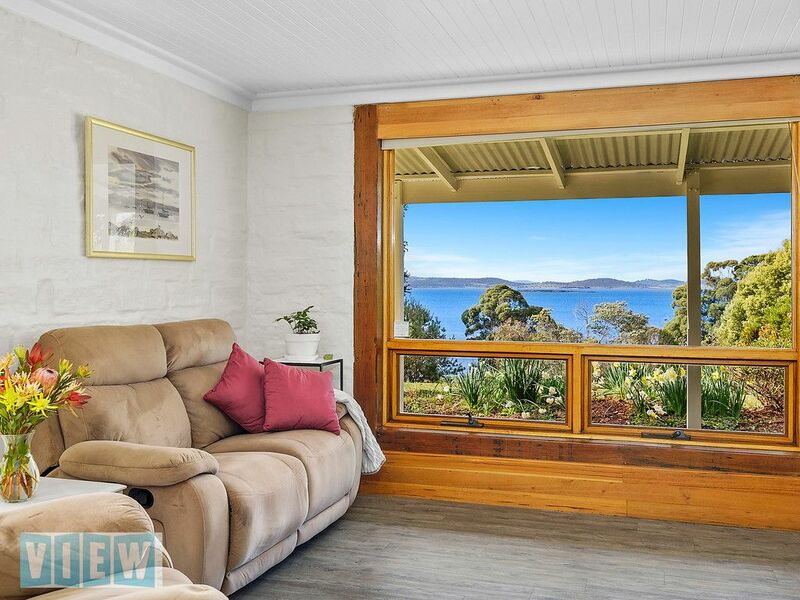 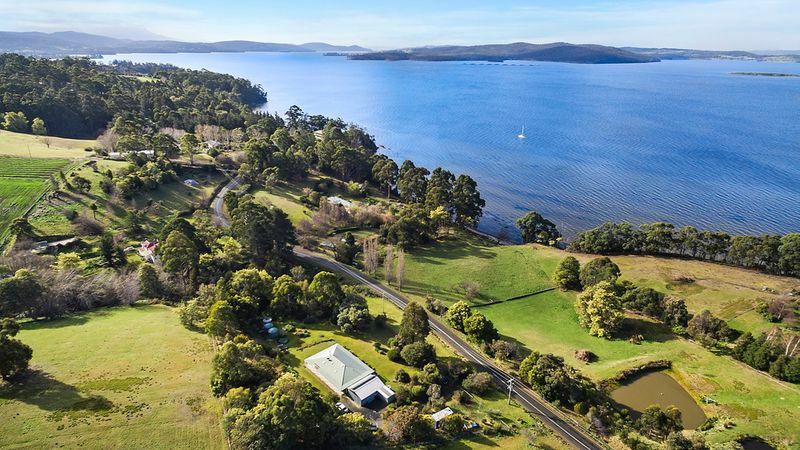 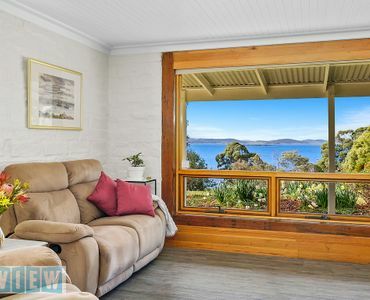 The land component is just over two acres (0.83 hectare) which in turn provides for outstanding views over the D’Entrecasteaux Channel and Bruny Island. 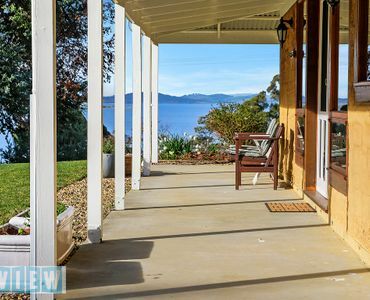 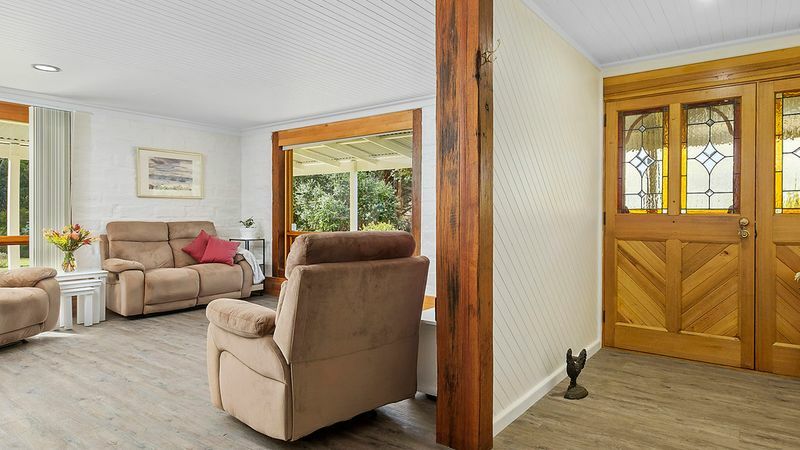 There are many spots throughout the property from which to sit and take in the views not least of which is under the wraparound deck which surrounds the house. 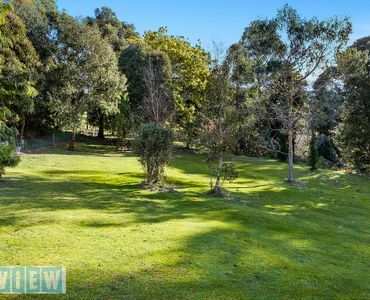 Around the home is a large, flat area which is fenced and provides for garden beds, lawn and perfect spots for al-fresco dining (complete with pizza oven). 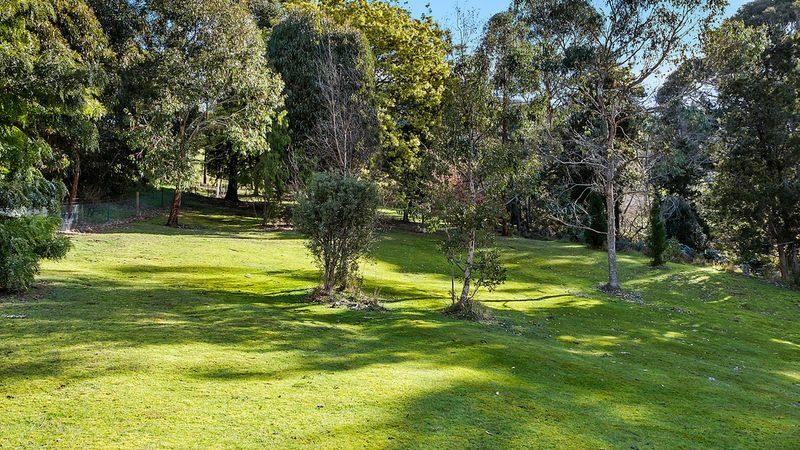 A large separate paddock would suit keeping a few animals and borders the nearby creek. 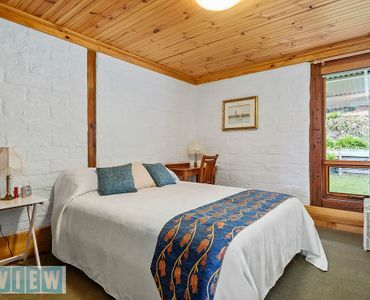 The home itself contains immense character being constructed of large mud bricks which also feature within the interior. 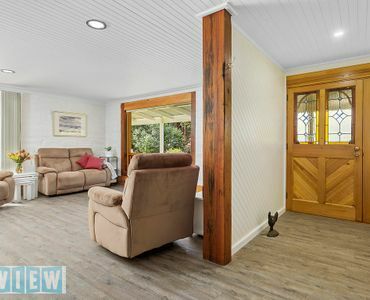 These in turn are supported by impressive exposed timber beams. 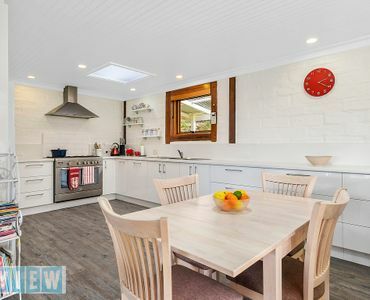 Open plan living / dining areas off the new kitchen which comes complete with plenty of storage and a quality 90cm oven. 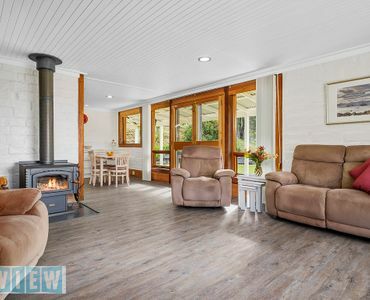 The free standing wood heater is cosy and warms the home. 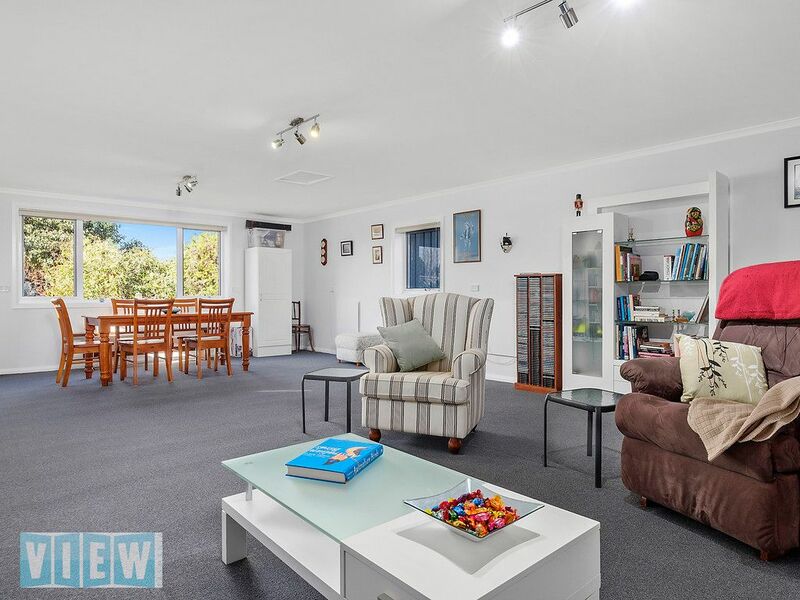 Three bedrooms all with built ins plus extra large laundry / wet area. 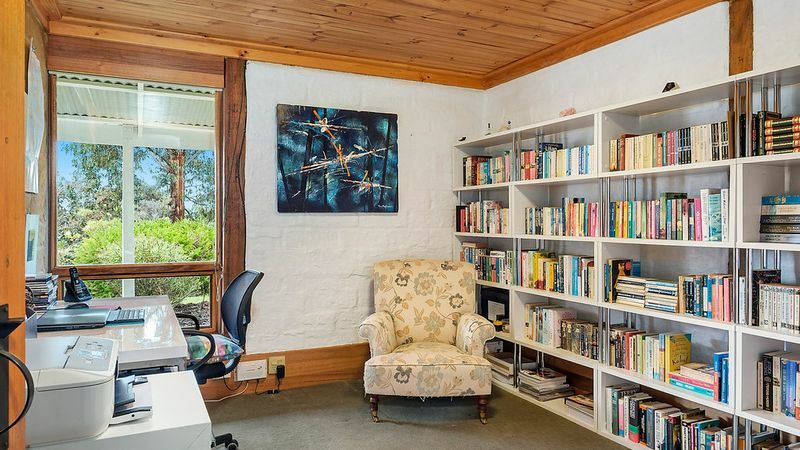 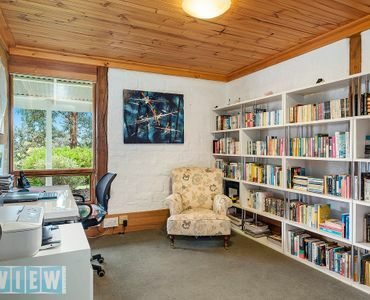 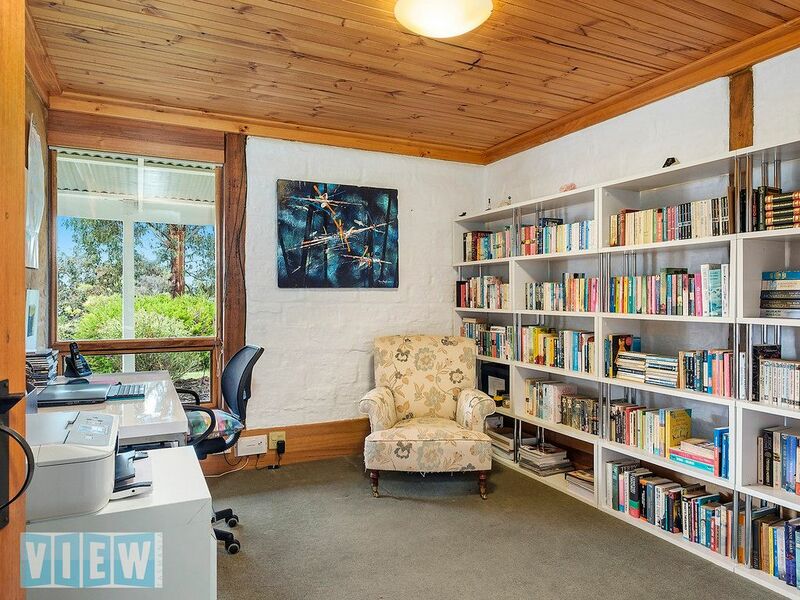 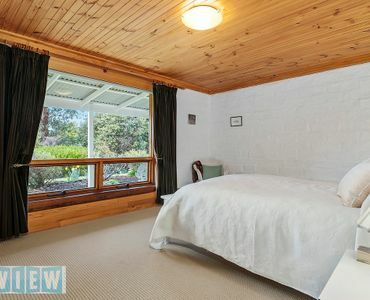 Adjacent to the home is a large studio, fully lined and carpeted which is perfect as potential self contained accommodation or for use as a rumpus or home office. 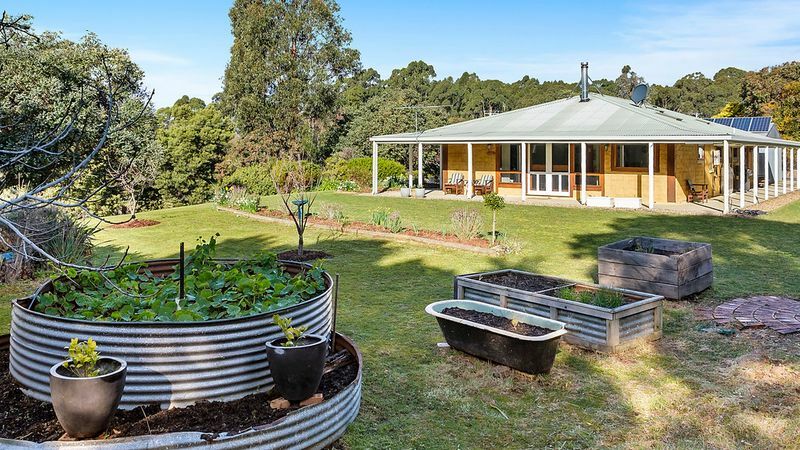 Also located on the property is a potting shed / workshop and shipping container included in the sale suitable for tools / mower storage. 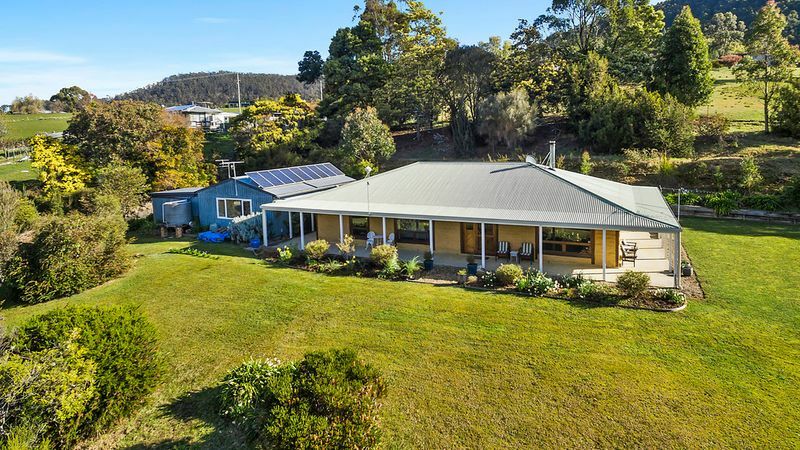 Nine solar panels on the roof means much reduced electricity bills! 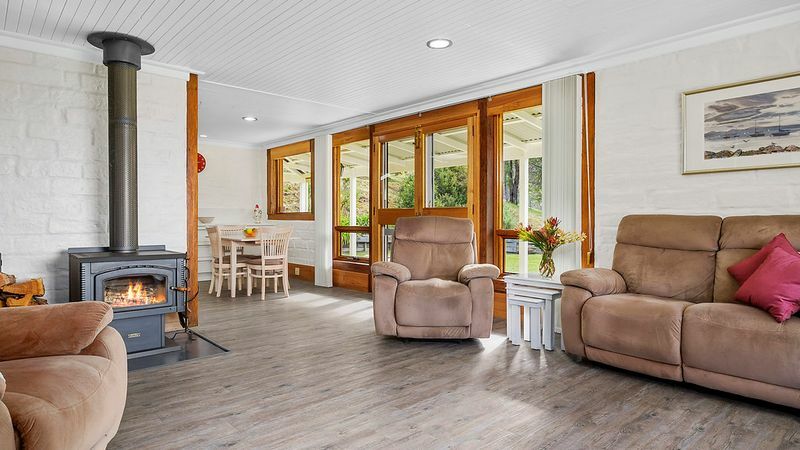 All in all the home has a pleasant country feel plus due to the elevated position, every window frames its own particular view. 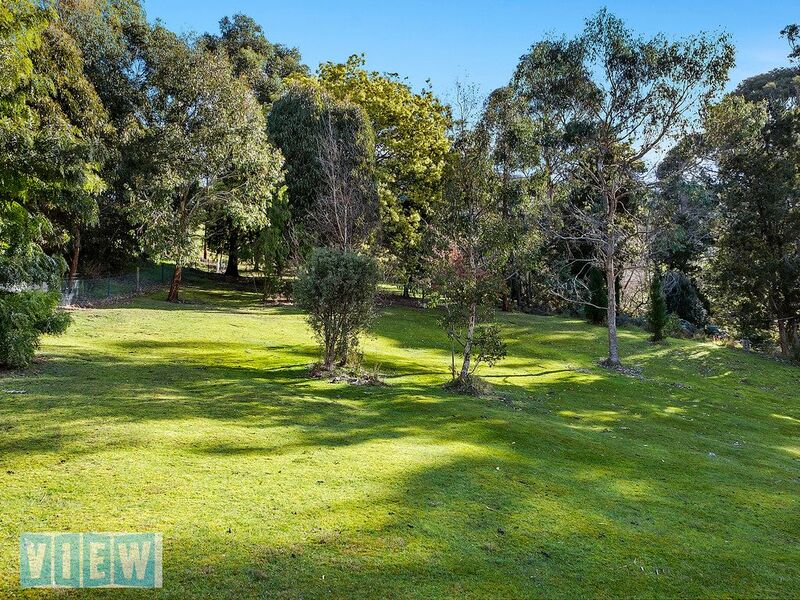 Thanks to the aspect, all day sun is allowed for. 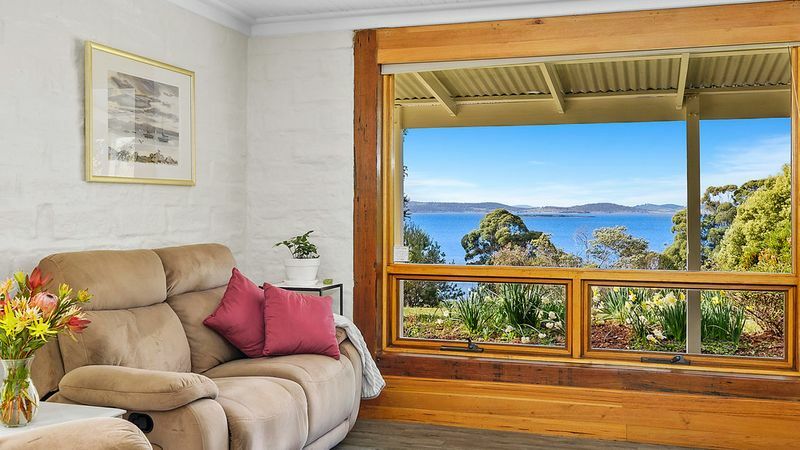 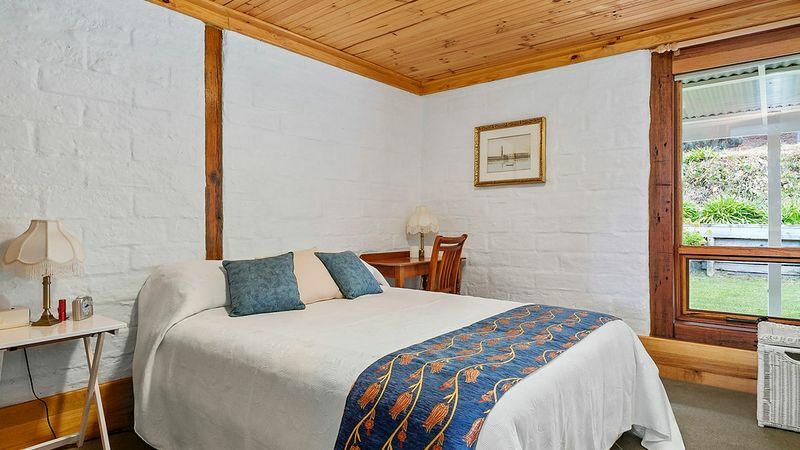 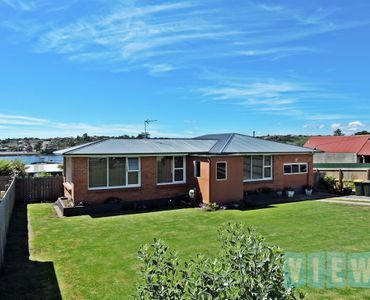 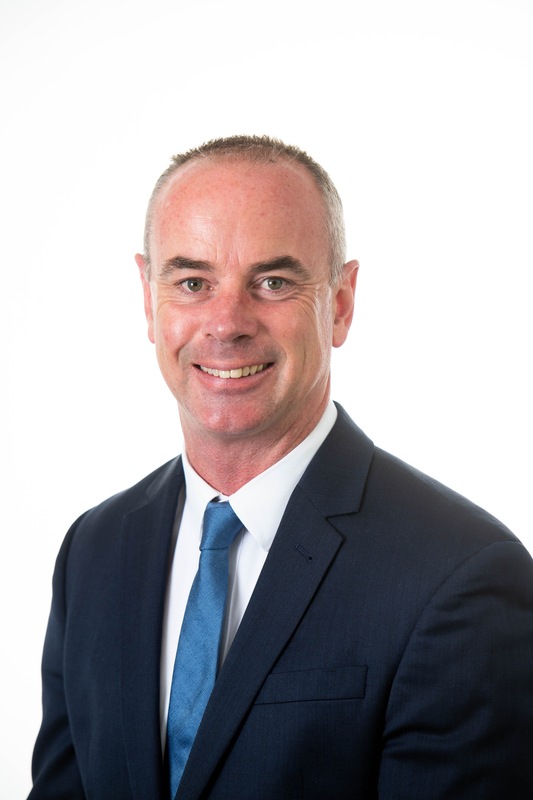 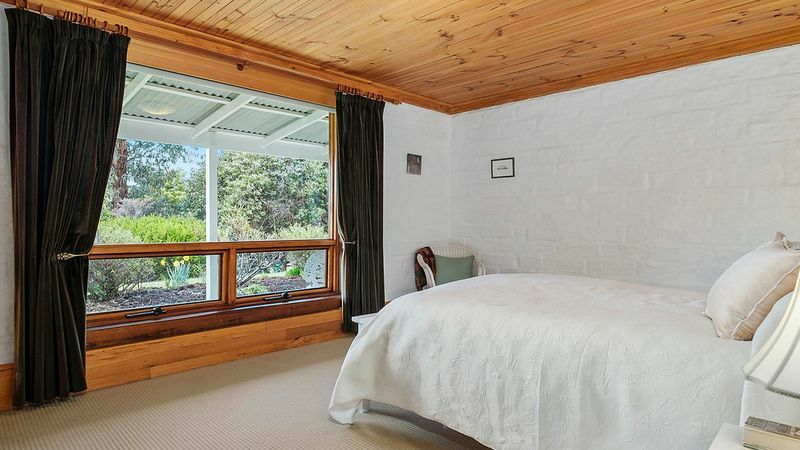 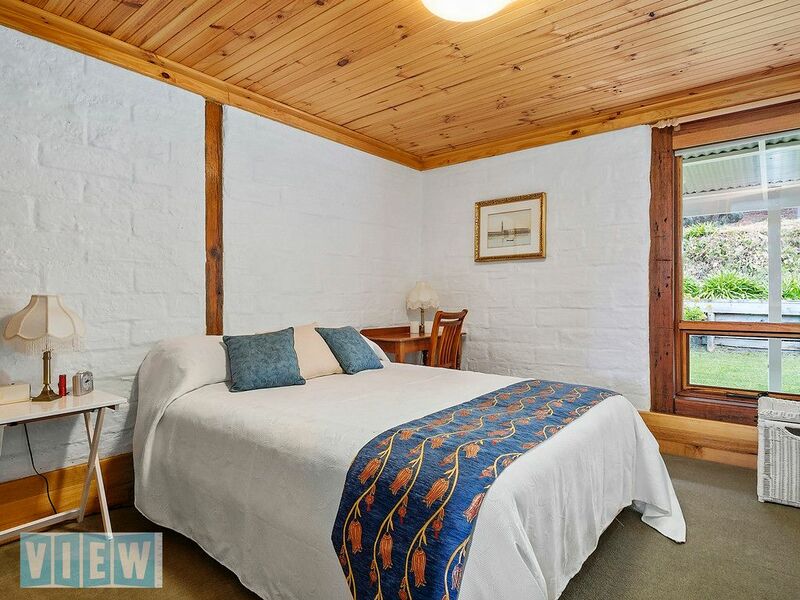 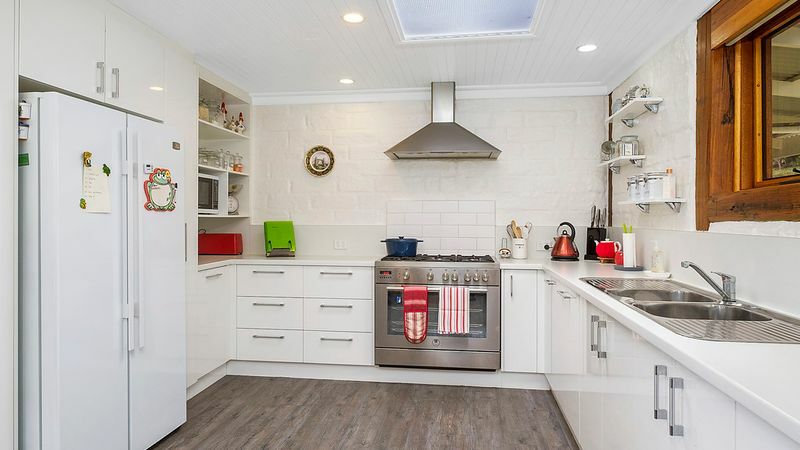 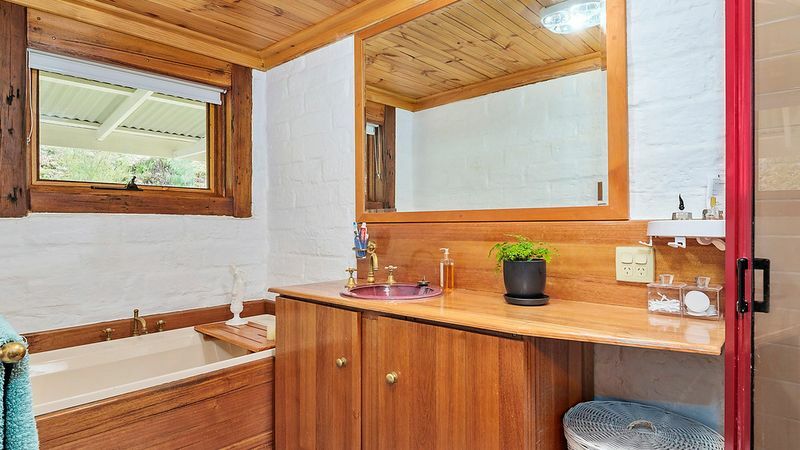 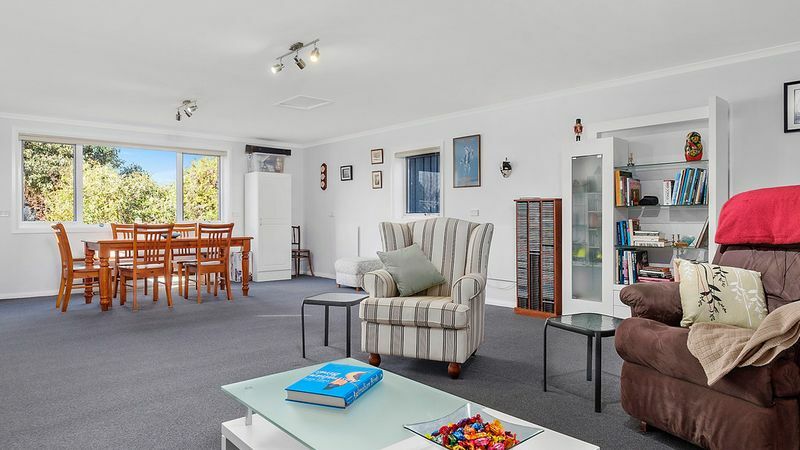 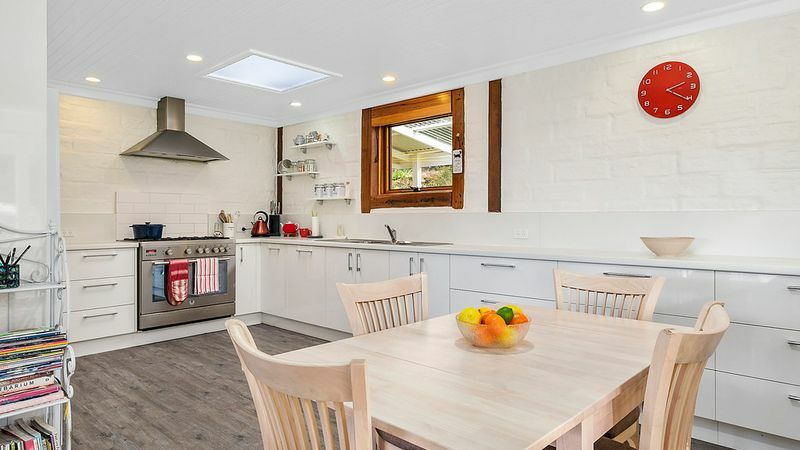 Woodbridge township and the Peppermint Bay restaurant are a five minute drive away and approximately another twenty minutes to the Hobart CBD.